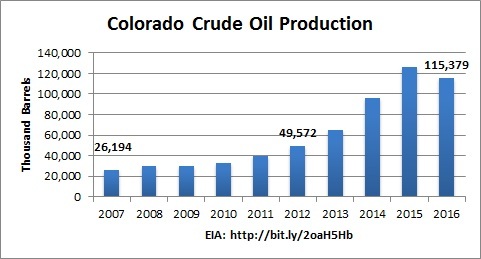 Colorado is a national leader in not only producing oil and natural gas but in protecting the environment. Our legacy of environmental stewardship is based on a transparent, collaborative process in which operators, state regulators and local officials work together to develop regulations based on Colorado’s specific geology. Our regulatory framework includes enhanced opportunity for local participation and input through the use of “local government designees,” a process unique to Colorado. This is why we are disappointed with the recent decision from the Colorado Court of Appeals, which we believe is without sound legal basis. The Colorado oil and natural gas industry’s long record of environmental stewardship belies the need for additional onerous rules and restrictions. This sweeping decision imperils jobs, incomes, and development of natural resources in our state. As the seventh-largest producer of oil and natural gas in the country, interference with our successful regulatory process comes with major economic risks. The oil and natural gas industry in Colorado supports more than 200,000 jobs and provided over $26 billion in state economic activity and $1.6 billion in revenue to the state in 2012 alone. School districts in Colorado received nearly $202 million from oil and gas production property taxes in 2012 alone. 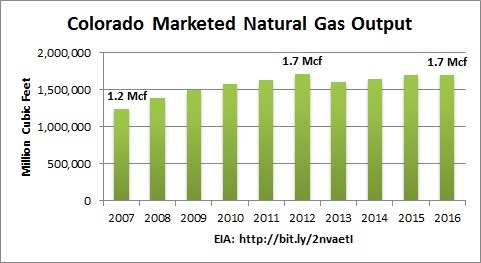 Hydraulic fracturing is a crucial part of Colorado’s energy development. Extensively regulated, fracking has been used safely in the United States for over 65 years, and study after study – plus Colorado’s own history – demonstrate that this advanced technology is safe for the environment. By enabling greater production of clean-burning natural gas, hydraulic fracturing even contributes to reduction of greenhouse gas emissions. Carbon emissions in the power sector have reached 25-year lows – a world-leading achievement. In Colorado, responsible energy development contributes to that success while providing indispensable support to our state economy. Colorado’s oil and natural gas industry works with the state to foster the responsible, balanced development of our natural resources in a manner consistent with protection of public health, safety, and welfare, including protection of the environment and wildlife resources. Activists with the backing of extreme interest groups from outside the state ignore those facts as they pursue their political agenda here. But for Colorado residents, balancing environmental protection with economic security is not about politics. It’s about our daily life and livelihood, and preserving the land where we live and work. When it comes to responsible energy development, Colorado has a record to be proud of, a proven tradition of responsible and safe energy development, and we’ll continue to build on that legacy. Reid Porter is a spokesman for the American Petroleum Institute. Before joining API, he worked as Account Supervisor at Edelman. Porter double majored in English Literature and the Spanish language at Middlebury College in Vermont. He enjoys traveling, cheering for the Green Bay Packers, soccer, rereading Hemingway novels and spending time with family.